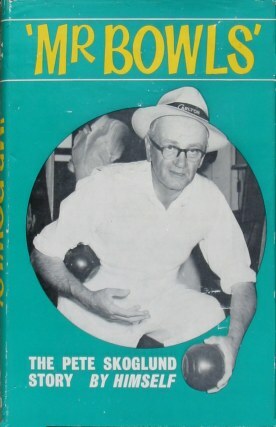 Synopsis 'Mr Bowls' was the title conferred on T T ('Pete') Skoglund by the Auckland Star in 1957, harking back to his first big tournament - Christchurch 1933 - when he played in the winning fours with his father, uncle and brother; and to his subsequent record of successes in bowling championships. Pete Skoglund has been dedicated to the game of bowls since those early days and it has taken him to greens all over New Zealand, and overseas to represent his country in Australia, Canada and the USA. In 33 years of so varied and successful a bowling career, 'Mr Bowls' has accumulated a rich fund of good stories and a wealth of playing experience, and has evolved a philosophy of the game that puts enjoyment and sociability at the forefront of importance, with match-winning a secondary consideration. In 'Mr Bowls' - The Pete Skoglund Story the author passes these things on to his fellow sportsmen. He began to write the book as he lay in hospital with a severe illness - and finding laughter and drama in recalling the sunlit days on many greens. He recalls boyhood days, tense moments and comical ones, overseas tours and friendly matches at home, the giants of the past and team-mates of later days. Throughout these pages runs the thread of friendship and generous acknowledgement of opposing teams' skill and team-mates' loyal support. In the closing chapters of the book he passes on his views on play, on the problems that confront every skip on and off the green, on the etiquette that makes for happy relations and on the great figures of the past. 'Mr Bowls' was an apt name for Pete Skoglund: a great bowler and a true gentleman of the green.